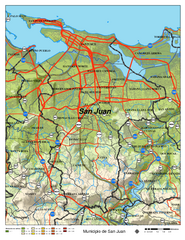 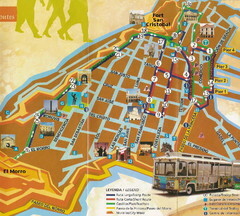 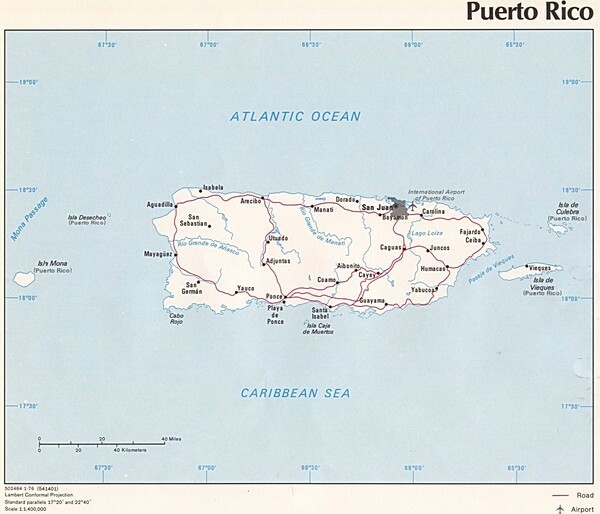 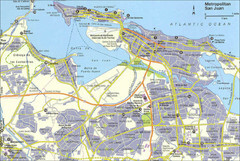 Tourist map for Puerto Rico showing major roads, cities and the airport. 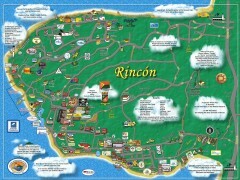 Tourist map of Rincón and surrounding area. 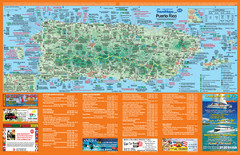 Features businesses and points of interest.